It was a rare and monumental flood. When a coastal mountain receives about 110mm in an hour, the waterways at its base were under extreme pressure. 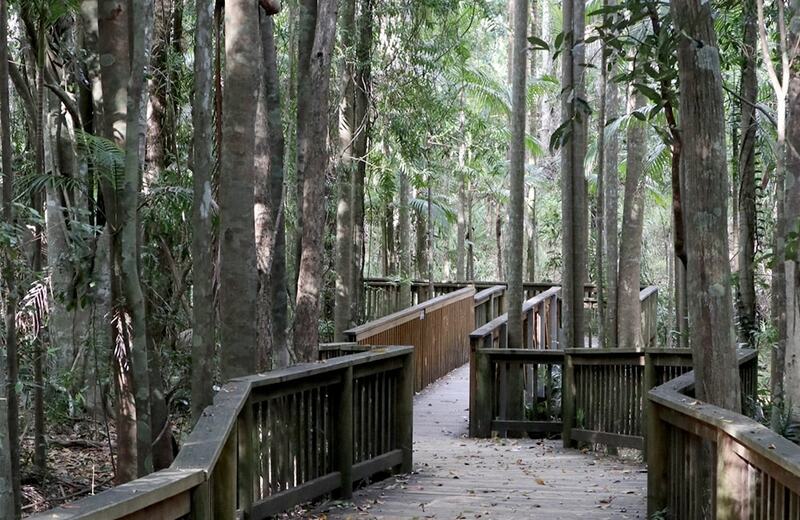 Throw in debris from surrounding bushland, and bridges – particularly those across waterways – will be at risk. 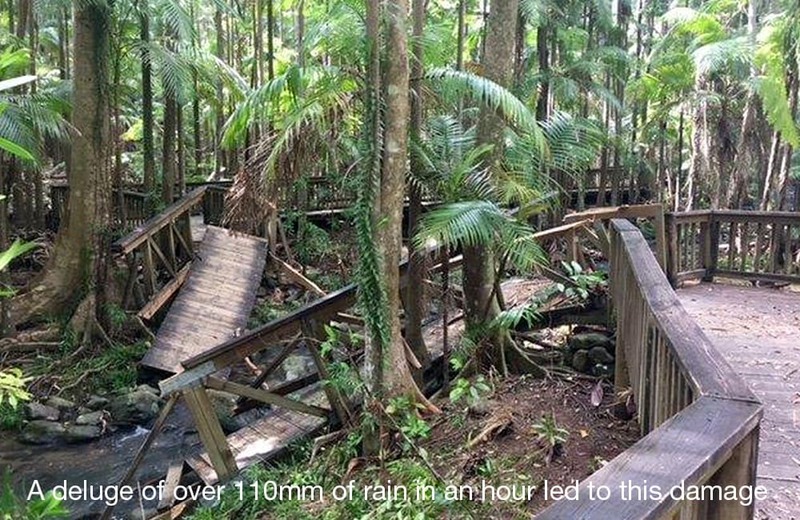 When Buderim on the Sunshine Coast was battered by a rain event in December 2017, dumping two months worth of rainfall in 60 minutes, the structure of two metal bridges installed by Landmark at the bottom of the mountain survived, despite being hit by a barrage of water and debris. One older timber bridge, installed over 15 years previous, didn’t. 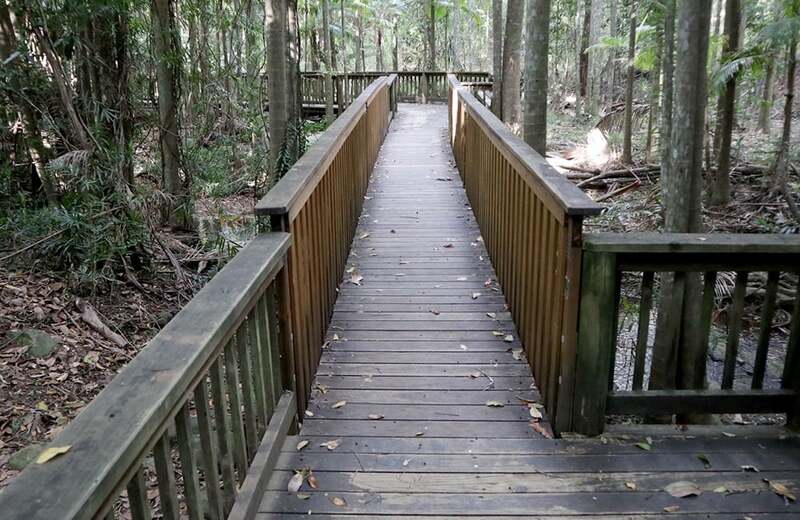 The Sunshine Coast Council called in Landmark Products to install a new bridge in Buderim Forest Park, acknowledging that the flood, not the strength of the previous bridge, was the reason for the collapse. 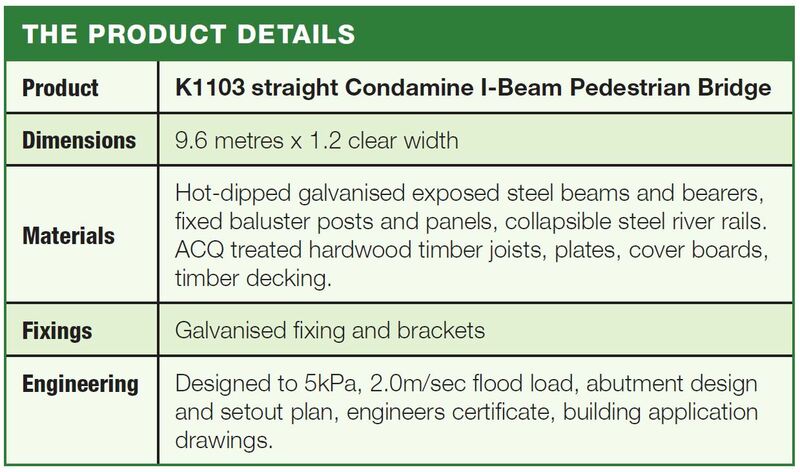 With help of Morgan Consulting Engineers, Landmark’s design team set about designing the new bridge, this time a Condamine (metal I-beam). The 9.6 metre long bridge was designed to 3kPa loads, and flood load of 2.0m/sec. With hardwood timber joists and cover boards, the bridge looked very similar to the previous timber bridge but built with a hot-dipped galvanized metal beam and bearers, provided much more strength – matching the two bridges which survived. 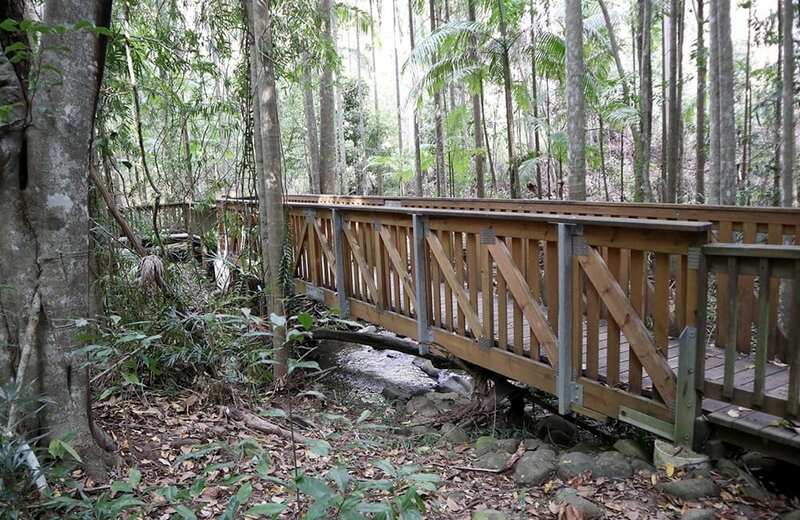 Landmark also installed the bridge, a tricky operation with the bridge being located a couple hundred metres into the Buderim forest. The end result is a sturdy bridge, which fits seamlessly into the amazing bush setting.